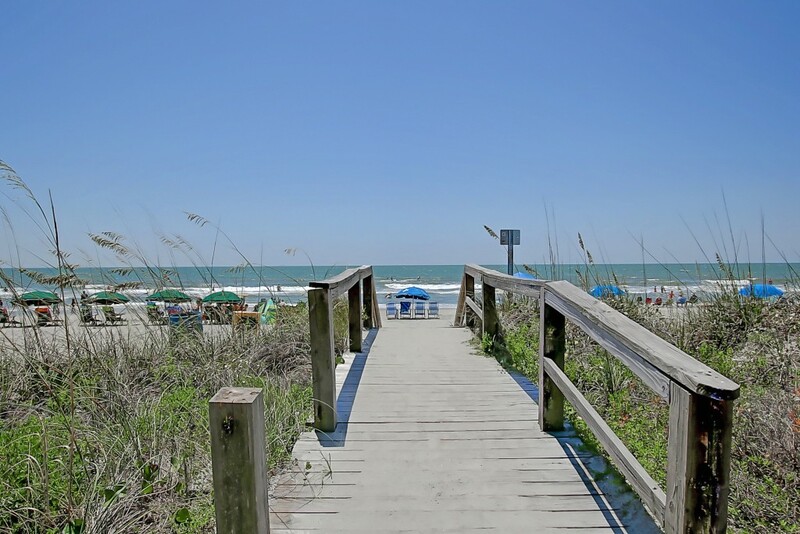 If you’re looking for a beach getaway, our listing at 5 Grand Pavilion Drive may just be the perfect fit. 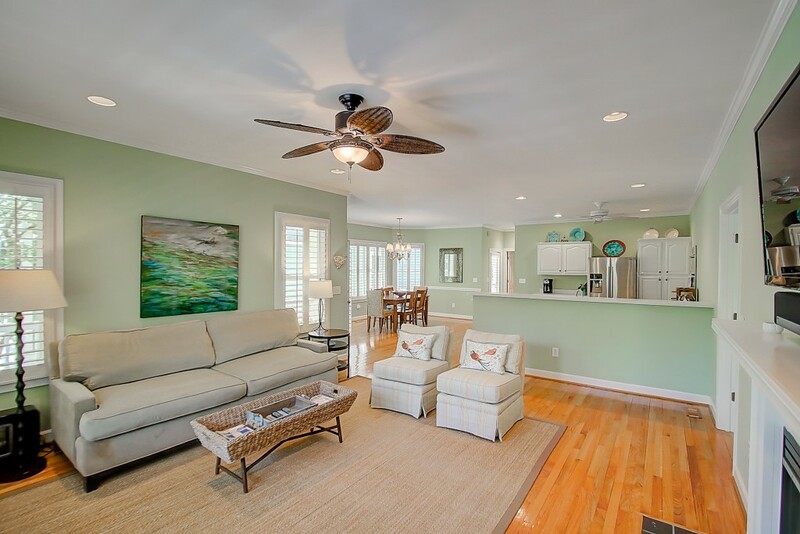 Located in the gated community of Wild Dunes, the home has a light-filled and open floor plan making it ideal for a full-time residence, vacation home or investment property. 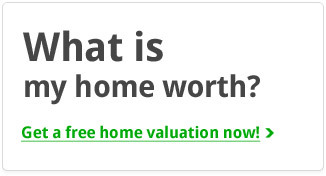 The home comes furnished as well so all you have to do is move in and enjoy! The facade is anchored by a dual staircase which leads to a covered front porch while lush landscaping evokes the vacation feel. The first floor is spacious with a living room, dining area and open kitchen. 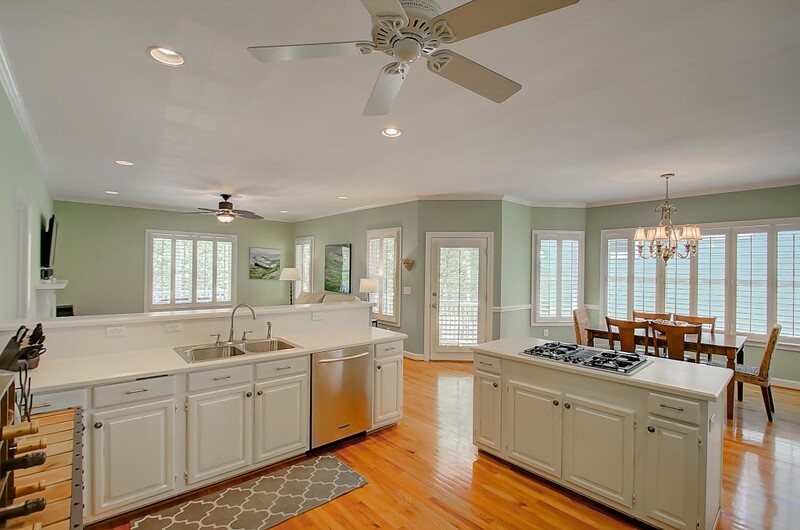 Hardwood floors, a fireplace, stainless appliances and great natural light are some of the highlights. One of the home’s master suites is located on this first floor while the other is located on the second. The downstairs master bedroom is well-sized with hardwood floors, a private sunroom and an en suite bath with a tub and separate shower. The secondary master, located on the upper floor, is a bit larger. A neutral color palette and hardwood floors accentuate the space and the room is cloaked in bright natural light from the adjoining sunroom. 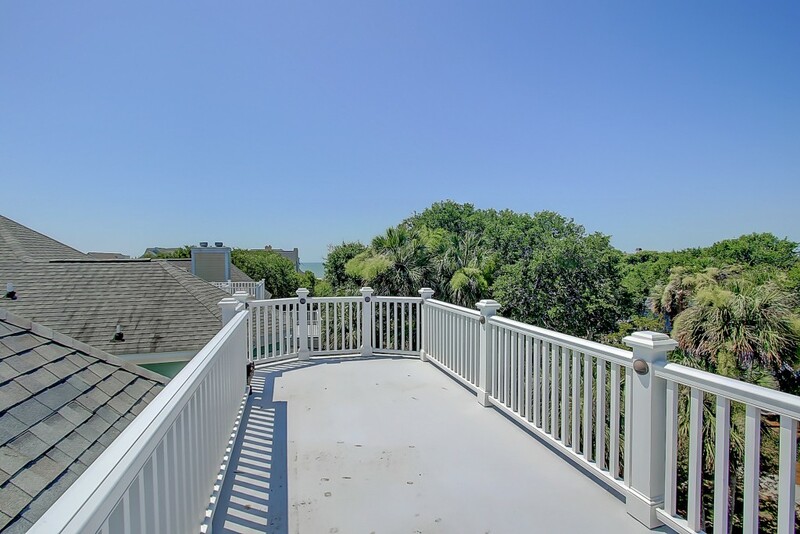 From here, you can catch glimpses of the nearby Atlantic Ocean and just outside is a spiral staircase leading to the rooftop deck with even better views. 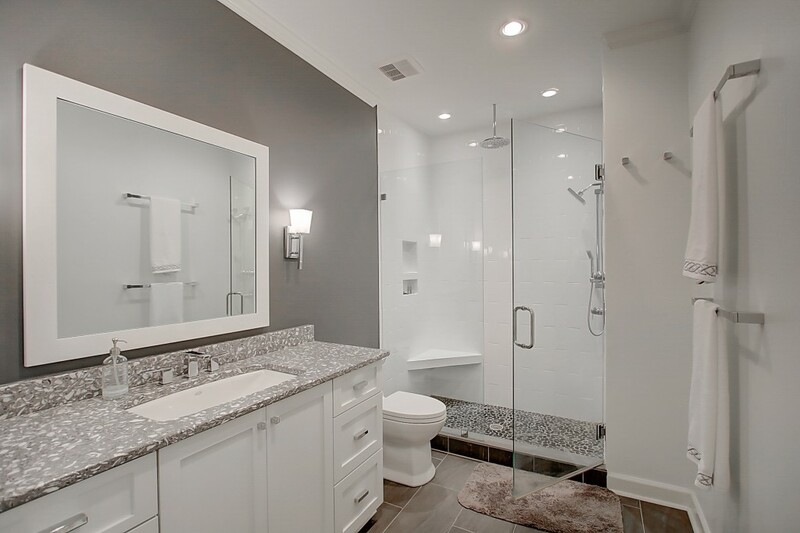 The newly remodeled en suite master has contemporary finishes including tile floors, granite counters and a frameless glass shower door. Also on this floor is an expansive U-shaped bedroom with an en suite bath which could potentially be converted into two separate rooms. 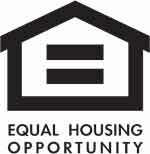 The current owners have completed many improvements to the home over the past few years. Some of the updates include: an outside shower enclosure, dehumidifier in the garage, a mudroom and owner’s closet and more. Another draw is the home’s proximity to the beach. 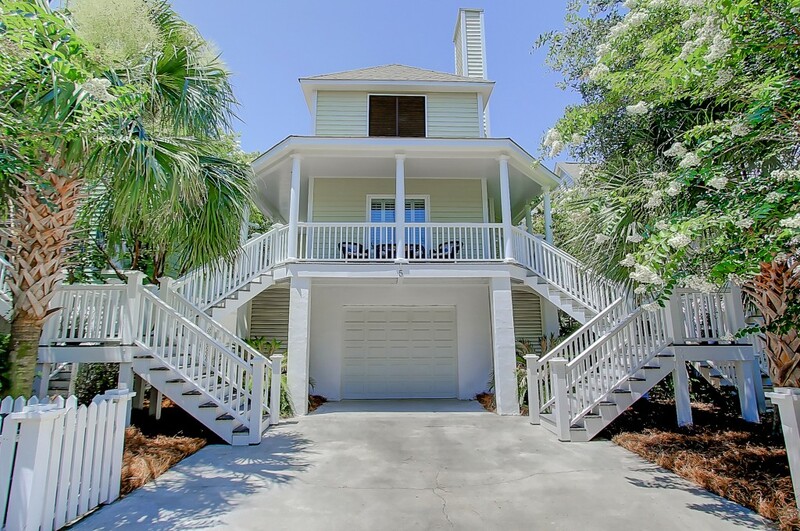 Just up the block is a neighborhood path leading to a beautiful strand of the Isle of Palms beach. Enjoy the beach life–spending your days soaking in the sun, walking along the beach or swimming in the ocean. The subdivision also has an owner’s pool while the Wild Dunes community has a host of other amenities to enjoy including the Grand Pavilion pool, tennis facilities, golf courses, restaurants, a hotel, spa and more–all just a short walk from your new home. To learn more about this home or to setup a private showing, please contact listing agent Melissa Martin.